Beginning with a special collaborative commemoration of the 100th anniversary of Armistice Day with the Toronto Children’s Chorus and the Toronto Youth Choir, we will sing works of war and peace, and feature a new world première of WWI popular songs arranged by Stuart Calvert. Lydia Adams, conductor; Elise Bradley, conductor; Bob Chilcott, guest conductor. We are thrilled to present G.F. Handel’s resplendent ‘Messiah’ this year again, an inspired masterpiece, with our special guests the Amadeus Choir, award winning soloists and orchestra. We team up with our long-time friends and colleagues, the Vancouver Chamber Choir and their esteemed conductor, Jon Washburn, in a concert celebrating Jon’s 48 years as Artistic Director of the VCC as he transitions to a new role with the group as Conductor Emeritus. We are excited to sing great choral music with these wonderful friends once again. We collaborate with the Amadeus Choir in a performance of J.S. Bach’s magnificent B Minor Mass, a timeless and monumental work by the incomparable master. We are thrilled to perform this great work with orchestra and four distinguished soloists for this exciting performance. These are all special moments, and we hope you will come and share these exceptional experiences with us this year. It’s going to be a great one! Lydia Adams invites you to celebrate with us during our 40th Anniversary Season. Subscribe to our five-concert Toronto series, see us with the Toronto Symphony Orchestra, and visit us as we tour Ontario and Quebec. As a not-for-profit choir, we are grateful for the charitable donations and grants from individuals, corporations and government agencies that allow us to share our joy of music with you. April 3, 2019: “Famed Choral Group Elmer Iseler Singers Wows Mindemoya Crowd” Michael Erskine of The Manitoulin Expositor interviews conductor Jane Best of The Manitoulin Community Choir who organized Elmer Iseler Singers’ performance on Manitoulin Island (March 24, 2019 – part of the Elmer Iseler Singers’ 7-Concert Ontario Tour). Mar. 31, 2019: Board Member – John Buchanan, ran the full 30k Around The Bay road race and EIS Singers – Michael Sawarna and Graham Robinson, ran the 5k Around The Bay race in support of the Elmer Iseler Singers. Together they collected over $2,100 supporting the 2019 EIS tours bringing great choral music to Northern Canada. We are grateful to our runners and for the generosity of all their donors in helping us achieve the choir’s goal of making Classical Choral Music accessible in every corner of Canada. Mar. 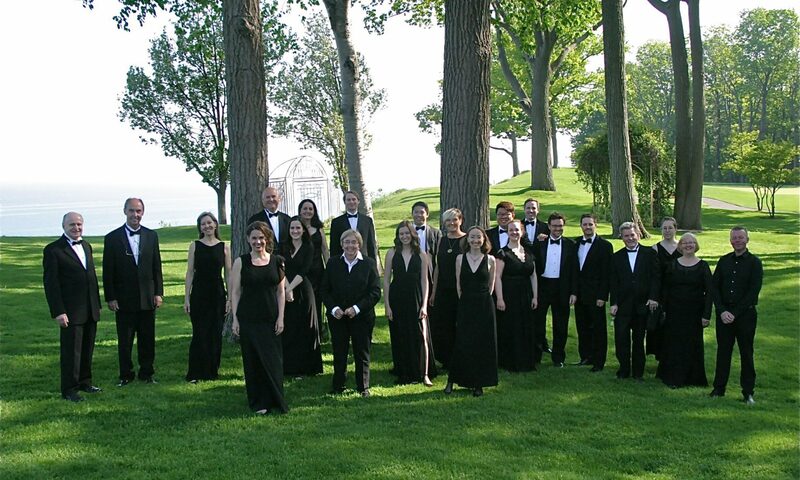 14, 2019: Lydia Adams has the Details on the Elmer Iseler Singers’ Ontario Tour! Classical 102.9fm interview of Lydia Adams on Bill’s Classical Jukebox, with all the details about the upcoming Ontario concert tour. Feb. 28, 2019: Choral greats Lydia Adams & Jon Washburn chat with Mike Duncan on “Classical Mornings” Choral conductors Lydia Adams and Jon Washburn dropped by The New Classical 96.3 FM “Classical Mornings” to chat with host Mike Duncan about a special collaboration between the Elmer Iseler Singers and the Vancouver Chamber Choir. Jan. 29, 2019: Elmer Iseler Singers are nominated for a 2019 Juno Award for David Braid: Corona Divinae Misericordiae featuring Patricia O’Callaghan (CLASSICAL ALBUM OF THE YEAR: VOCAL OR CHORAL) and are please to announce the nomination of the Toronto Symphony Orchestra for Vaughan Williams: Orchestral Works, as the Elmer Iseler Singers were also artists on the album along with TSO soloists Principal Viola Teng Li and Principal Oboe Sarah Jeffrey the recording also showcases Canadian pianist Louis Lortie, and singers Carla Huhtanen, Emily D’Angelo, Lawrence Wiliford, and Tyler Duncan, all under the direction of conductor Peter Oundjian. (CLASSICAL ALBUM OF THE YEAR: LARGE ENSEMBLE). Additional articles are available from Broadway World and Ludwig Van websites. Dec. 7, 2018: The Toronto Symphony Orchestra recording of Vaughan Williams: Orchestral Works, has been nominated for a Grammy Award (BEST CLASSICAL COMPENDIUM). Elmer Iseler Singers were artists on the album along with TSO soloists Principal Viola Teng Li and Principal Oboe Sarah Jeffrey the recording also showcases Canadian pianist Louis Lortie, and singers Carla Huhtanen, Emily D’Angelo, Lawrence Wiliford, and Tyler Duncan, all under the direction of conductor Peter Oundjian. Additional articles are available from Toronto Symphony Orchestra and Ludwig Van websites.